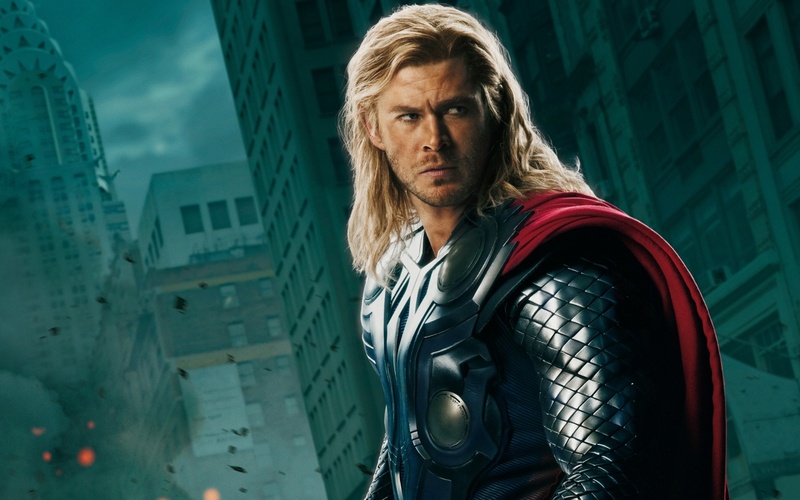 darthmaz314: Marvel’s The Avengers: Should YOU Assemble? 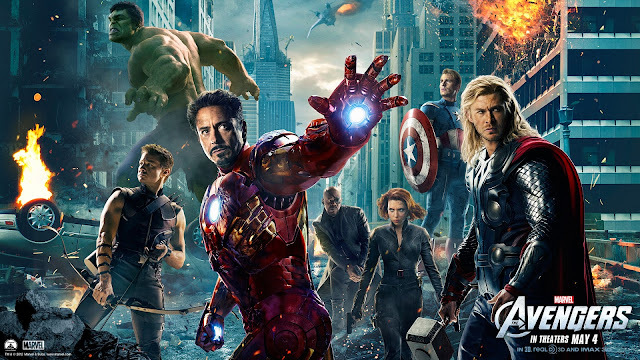 Marvel’s The Avengers: Should YOU Assemble? 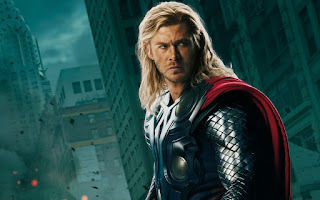 The summer of superhero blockbusters arrived with a thunderous THWAK! 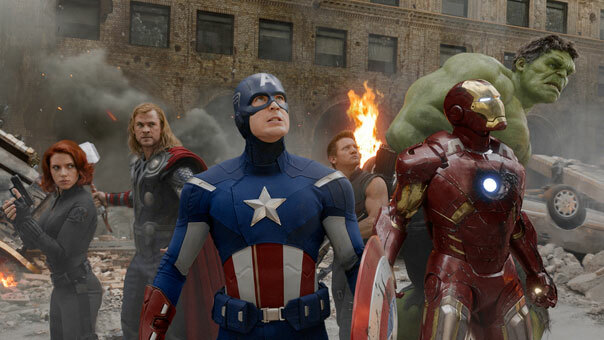 this past weekend as Marvel’s The Avengers completely dominated the box office. The superhero supermovie raked in over $200 million, setting a new opening weekend record and dethroning previous opening weekend champ Harry Potter and the Deathly Hallows Part II. Hints of a forthcoming Avengers movie began in 2008 when SHIELD director Nick Fury (Samuel L. Jackson) made a cameo appearance following the closing credits of Iron Man. 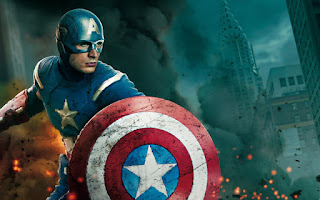 The intervening four years have provided a long period of anticipation and an ample amount of time to market this film to Marvel fanboys as well as those who have never even seen a comic book. Judging by the bulging box office, it was worth the wait. But what really makes this film worth seeing? The advances in CGI over the last decade have allowed Hollywood to finally bring the superhero genre to the big screen in a way that was not possible in the past. Yet, the cream of the crop of comic book films released during this period (e.g., the X-Men and Dark Knight films), were driven less by the quantity or quality of their special effects, and more by their intriguing plot lines, chemistry between the heroes and villains, and superb performances by the actors. The Avengers is no exception. That is not to say that The Avengers is short on effects. This film will send more than a few effect house executives’ great great grand kids to college...really good colleges. But the effects are not the only thing that shines in this film. The performances and the infusion of well-timed humor are what keep the pistons firing in this engine, maintaining audience attention between the action sequences, something not all comic book movies have been able to master. 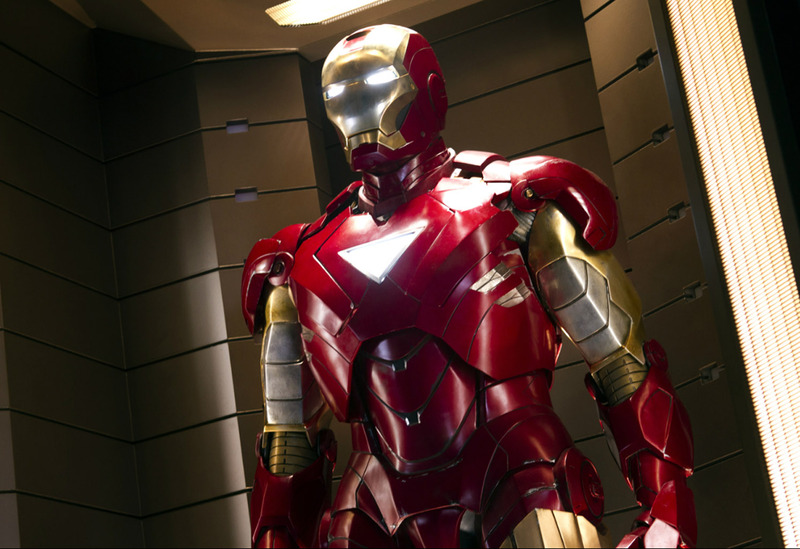 Once in the suit, Downey has to compete for the audience’s attention with the breathtaking special effects that have allowed the Iron Man character to be brought to the screen in its sheer awesome glory. It was a wise decision for Marvel to wait until special effects technology was ready to tackle a feature length Iron Man movie. Young boys all over America throughout the years have wished that they had their own Iron Man suit packed away in a suitcase somewhere at the bottom of their closet. Yet, few of them have dreamt of wearing the thin polyester jumpsuit version with the plastic mask and rubber band string that they wore to trick-or-treat. 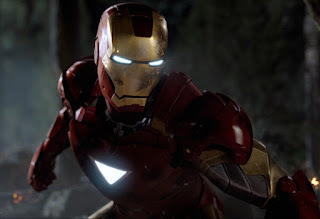 Had Hollywood brought Iron Man to the screen in 1990, he more than likely would have resembled that version and not the new-fangled model that dress you by themselves as you walk through your house like Downey’s Tony Stark enjoys thanks to the magic of CGI. 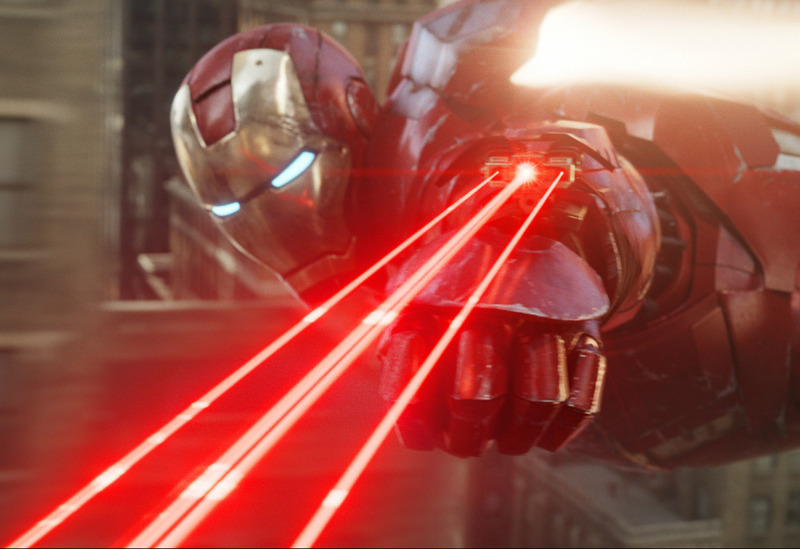 In The Avengers, Tony Stark is once again the epitome of cool. His fast talking wise guy ways are Yet Stark’s arrogant lone wolf mentality introduces obvious tension to the team concept of the Avengers, who initially do more fighting amongst one another than against any villainous force. In fact, it’s a clash of super ”egos” that serves as the first battle that our heroes must face before they can focus their attention on the evil Asgardian demigod Loki (Tom Hiddleston), brother of the mighty Thor (Chris Hemsworth). However, as we have come to expect from Tony Stark, he rises to the occasion when Iron Man is needed and does what needs to be done. In fact, there is a theme of self-sacrifice and placing egos aside that is consistent throughout the film. For Stark, this culminates with Iron Man choosing what appears to be certain death (gasp!) in order to save New York and his fellow Avengers from a nuclear missile strike launched on the orders of the secret “council” that oversees the Avenger’s initiative, who hoped to destroy Loki’s invading forces and contain the threat against the world before it could spread. All in a day’s work for Iron Man and his team of Avengers. 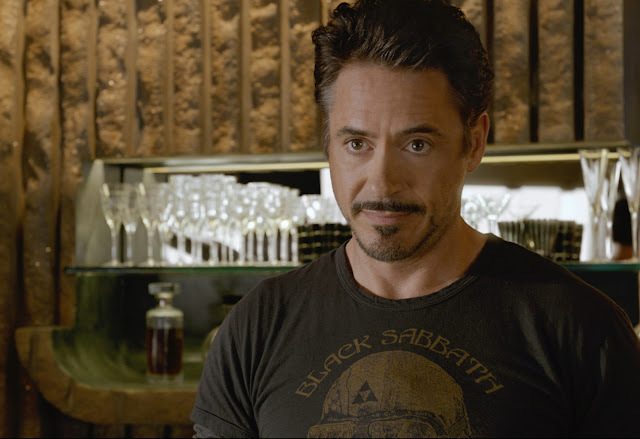 In a brilliant stroke of costume direction, Robert Downey Jr. spends nearly the entire movie in Black Sabbath t-shirt, paying homage to the group who recorded the classic song that bears his superhero character’s name. 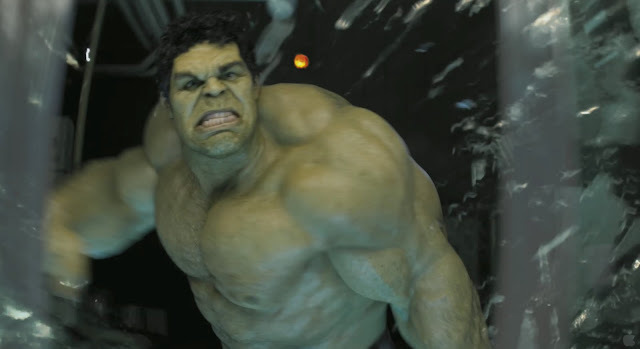 After two Hulk films that were not well received, it was safe to say that bringing the big green guy back to the big screen again was a gamble. But this gamble pays off, as director Joss Wheedon really gets the Hulk right in this movie. 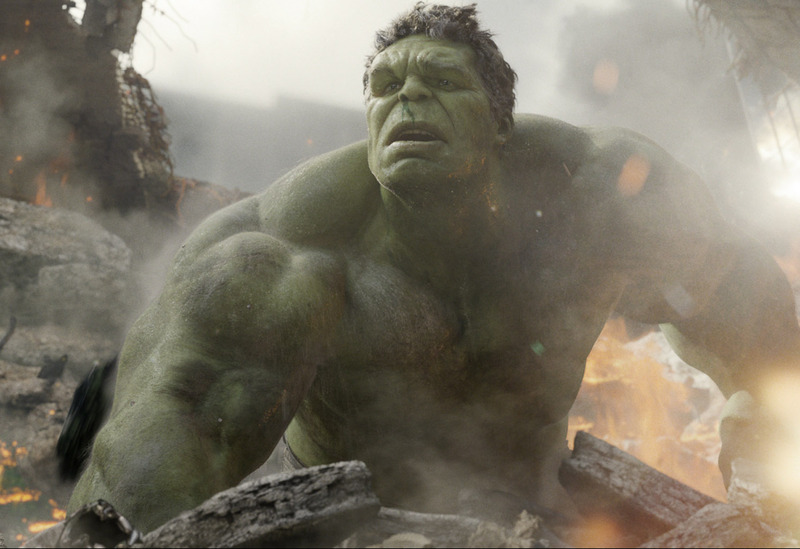 Secondly, the CGI Hulk was well designed and used in The Avengers. 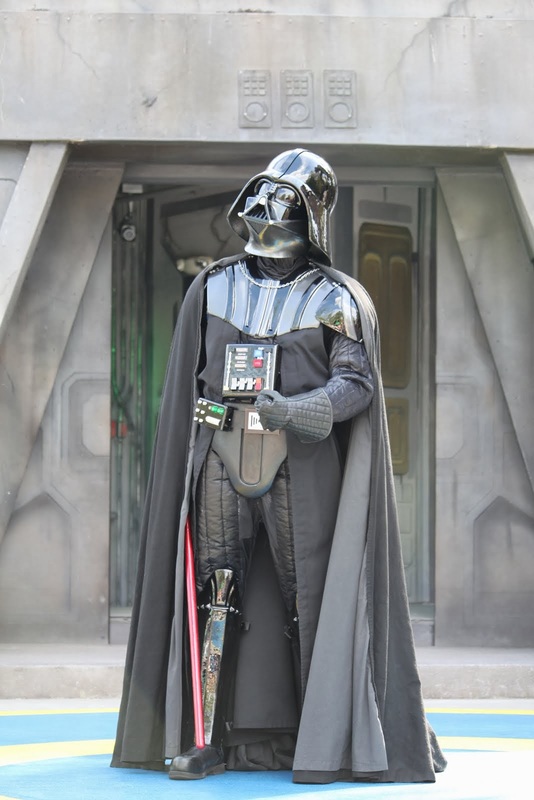 His first appearance is deep into the film, which more than builds the anticipation factor. When he does explode onto the screen, it is clear that the CGI artists have constructed a Hulk that is just the right size and whose face resembles the actor portraying Bruce Banner. And although, he does some vaulting through the streets of Manhattan, he cannot jump ridiculous distances making him appear to“fly” like we have seen in one of the previous Hulk film incarnations. All three of these lend to the believability factor for the character. Thirdly, the green machine provides some of the film’s (pardon the pun) “biggest” and funniest moments. In one of these funny moments, the big guy settles a score with his fellow Avenger Thor, following-up on a “tussle” they have earlier in the film. After they have disposed of some baddies, the two land in picture standing shoulder to shoulder with one another. Without evening turning his head, Hulk cheap shots Thor with a left jab that sends the demigod flying off-screen. During the uproarious screams of laughter that follow, it is easy to miss the Hulk’s self-amused smirk before the scene cut. 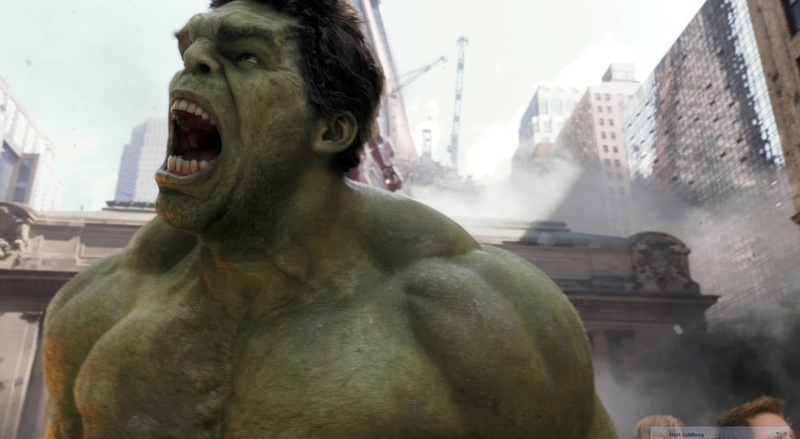 This scene makes for a purely magical moment in the film, trumped only by another Hulk smash moment near the end of the movie that you will have to see for yourself. 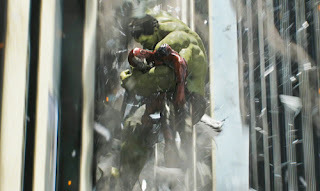 Lastly, the relationship between Tony Stark and Bruce Banner lends special something to The Avengers. The script also introduces and eventually resolves a conflict between Stark and Chris Evan’s Captain America, in what seems to be an attempt to build some chemistry between these characters. While this does play into the“team building plotline” it doesn’t seem to hit that mark that Wheedon probably intended. The Stark and Banner relationship is far more harmonious. The two appear to hit it off immediately, seeming to form a bond initially built on their common genius. They work together in the lab and at one point, team up to inform the other Avengers of their suspicions and distrust of Shield Director Nick Fury and his plans for the covert “Phase Two” initiative. Building on the Banner/Stark relationship, there is a scene late in the film when Loki’s forces are wreaking havoc on the popular target of Manhattan and the Avengers are “re-assembling.” Iron Man questions the whereabouts of Banner, as if expecting that he will answer the call and sacrifice his humanity to unleash the Hulk for the greater good. In true superhero fashion, Banner does arrive to make good on Iron Man’s faith in him and the proceeds to give new meaning to the phrase, “go green for our planet.” And to tie it all up in nice superhero bromance fashion, guess who comes to the rescue of a hopeless Iron Man as he plummets unconscious and with his suit offline toward the pavement of the Big Apple near the conclusion of the film? You guessed it, the original green machine himself. He also helps bring Stark back to consciousness when it seemed he might be lost forever. 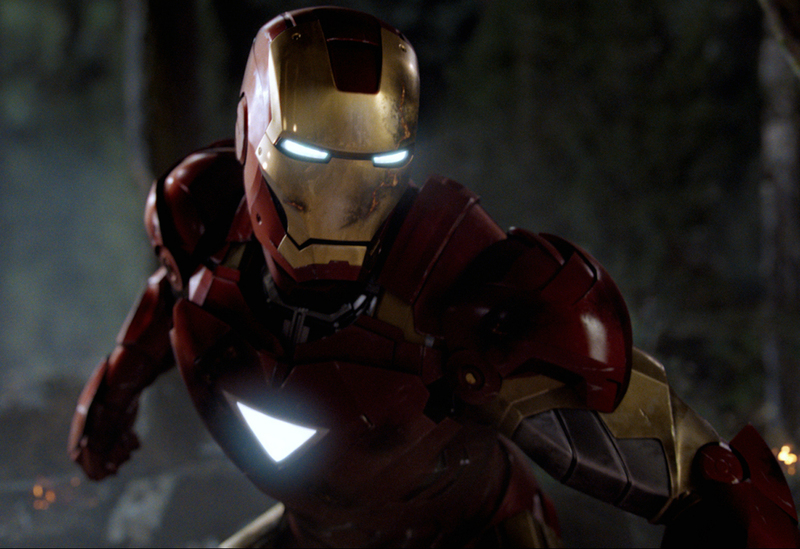 In fact, it is a good bet that the Iron Man suit is still vibrating from the Hulk’s wake-up call. The Avengers is not flawless and it does have a few shortcomings. There is a lot going on in this film, considering all of the back stories contained in the previous five coming attractions, I mean films, that led up to the Avengers. 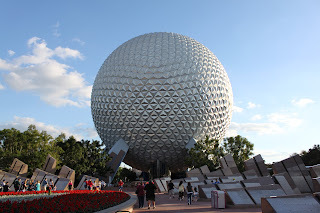 Can you enjoy the movie without having seen them all? Yes. 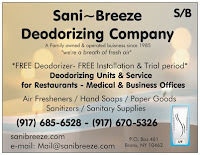 Do you get the most out of it? No. It is also more difficult to appreciate some of the plot elements and to understand the motivation of some of the characters, particularly the villain Loki, without having seen Thor and the other films. Still, the combination of good performances, intense action punctuated flawlessly with injects of humor, monster special effects, and the fact that most of the planet will eventually see this movie, makes the Avengers a must see. Loved it. There are so many laugh out loud moments that I didn't expect and they allow each of the Avengers to shine, not just Ironman... which I feared. I was also suprised at the amount of comedy, but I think it was one of the best things about the movie. Regarding The Avengers: Should YOU Assemble? - Thanks for the kind words. I checked out your T-shirt site. Very cool stuff. The Godfather Orange Omen: Fact or Fiction?